Veldaria is a green expanse north of the Santrock Mountains and west of Nordania, the northwestern coastal region of the Realms of Sothis. It's populated by a broad mixture of humans of Marianite, Thannonite, and Nordic stocks. It is the home to the Realms only seaports. 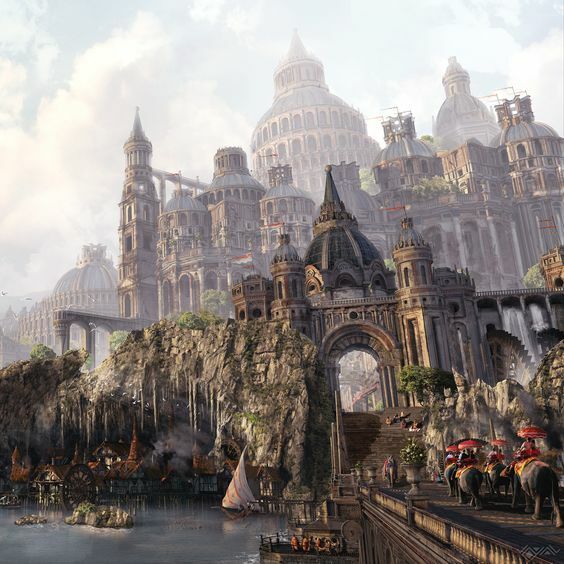 The great seaport on the shores of the Vespian Sea in northwestern Velderia, Caldair is one of the greatest cities in the Realms, and the most dangerous. Velderia is the home of many diverse coins, from those created as tender for the lost city-states of Xal-Draque or Tul-Brae, to treasures liberated from distant ports by Veldarian pirates, to coins minted by the city’s noteworthy hill dwarf population. Veldaria mints coins precisely as Baridor does. However, in Caldair (Cahl-Deir of old) other disks and flat shapes of precious metals bearing the images of forgotten men are passed readily in its marketplaces as well.